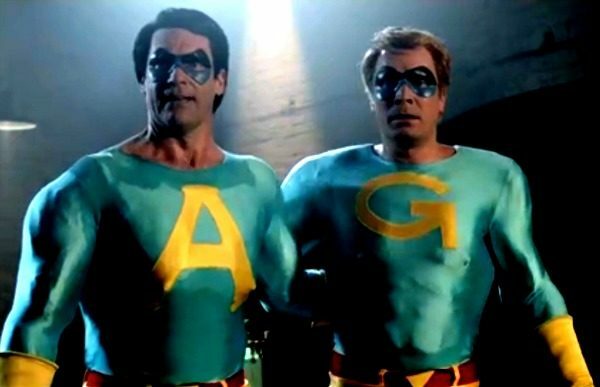 “Quick, Gary – Come on my back!” Viewers of Saturday Night Live were treated to the first ever live-action Ambiguously Gay Duo short yesterday. Since nobody actually watches SNL on Saturday nights anymore, were happy to show the boys some gay blog loving. Jimmy Fallon and Jon Hamm donned Ace and Gary’s signature tights for a double entendre-filled skit that packed a punch.